Ewe to You @ Heeley City Farm – Sun 5th & Mon 6th May – 10am – 4pm | IT'S HAPPENING IN HEELEY! The Hallamshire Guild of Weavers, Spinners and Dyers are holding a special fundraising event and exhibition for Heeley City Farm. Using traditional techniques they will turn a sheep’s fleece into a unique throw to be raffled off to raise money for the Farm. 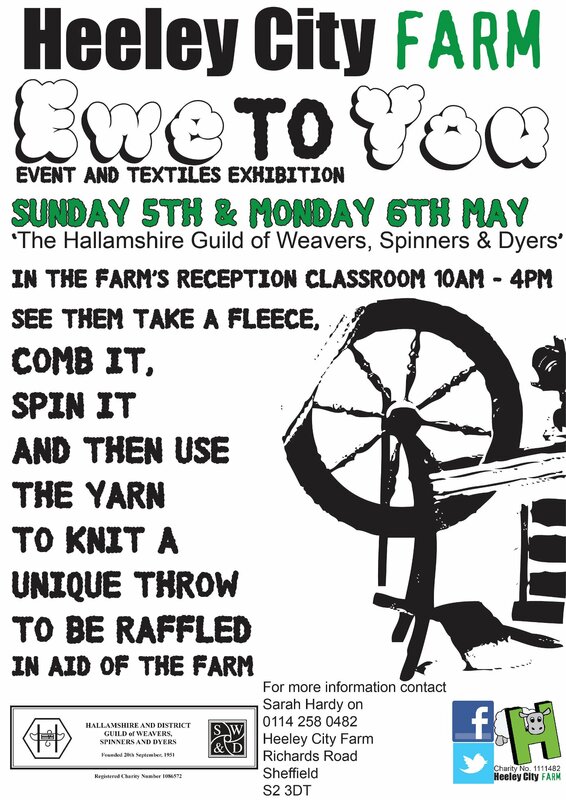 Come and see them carding (combing) the wool, spinning it into yarn and knitting the throw over two days. You can even have a go yourself! Held in Reception Classroom near the pond.